Dubrovnik Tourist Board organizes the concert of Stella Maris choir from the island of Hvar this Saturday, February 9th, at noon. The concert will be held in front of the St. Blaise Church. The mixed choir ‘Stella Maris Hvar’ is a part of the the music-scene association ‘Stella Maris’ founded in 2002. 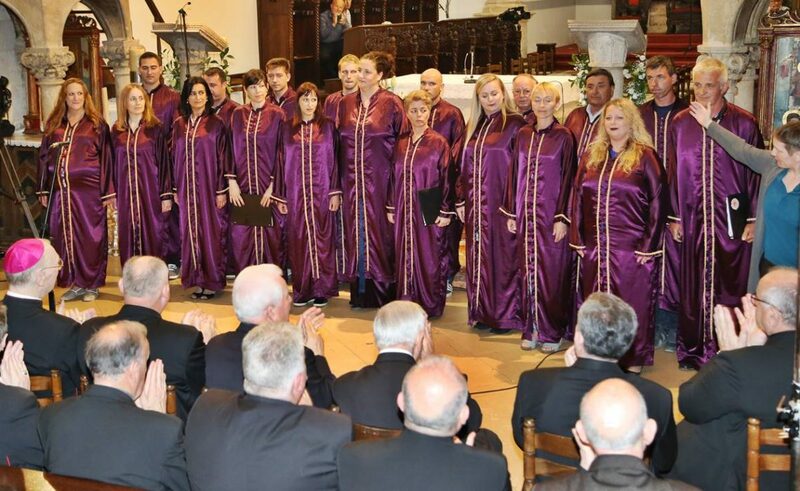 The choir itself is founded in 2008, and since then has actively participated in many competitions, guest performances, humanitarian concerts in Croatia and outside the country. The choir repertoire is diverse, from classical to entertaining and popular songs as well as spiritual music. The distinctiveness of this choir is contained in the compositions made in dialect, ie poems by the poets of the island of Hvar, which the teacher Vinka Šurlin was playing and preparing for this choir.